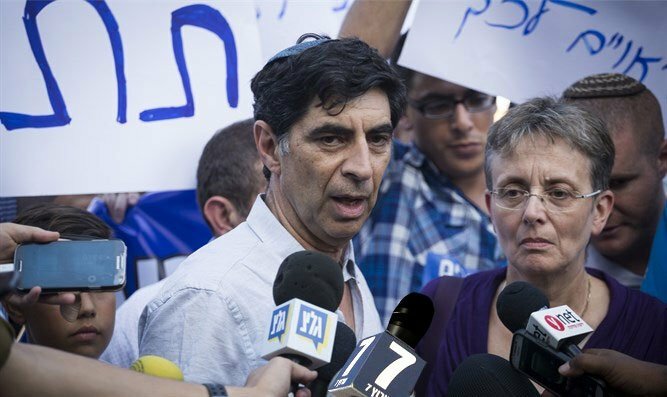 The family of soldier Hadar Goldin, whose body is being held by Hamas in Gaza, blasted the Cabinet’s decision to permanently open the Rafiah Crossing between the Gaza Strip and Egypt immediately after the Muslim Eid al Adha (“Sacrifice Feast”) holiday next month. The parents added that those who worry about the humanitarian needs of Hamas and Gaza residents must make the “most basic and humane” demand of returning the soldiers. “Hadar and Oron and the civilians are being held in a pirating fashion by Hamas. We demand that the Prime Minister and Cabinet abandon the [current] ‘zero action’ situation and start acting to return our sons home,” they added.